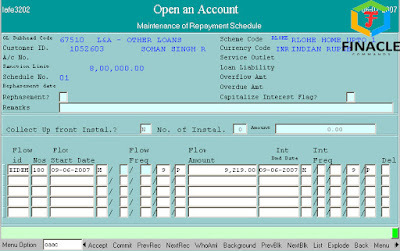 How to Open a Loan Account in Finacle - FINACLE COMMANDS AND TUTORIALS. A loan is the act of giving money, property or other material goods to another party in exchange for future repayment of the principal amount along with interest or other finance charges. A loan may be for a specific, one-time amount or can be available as an open-ended line of credit up to a specified limit or ceiling amount. 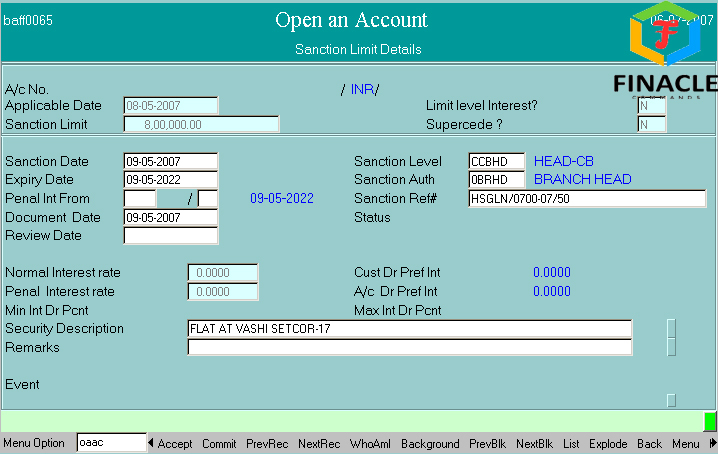 In Banks for Disbursement of Loan a Loan account in opened in Finacle. 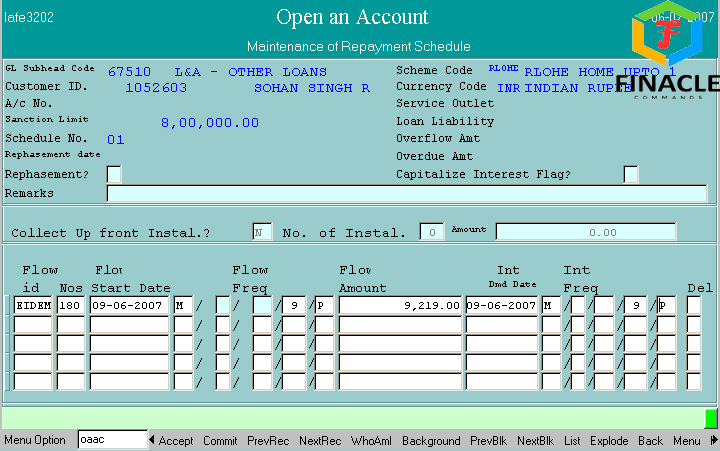 In Finacle for Opening a loan account there are different details which a person had to fill for opening Loan Accounts. 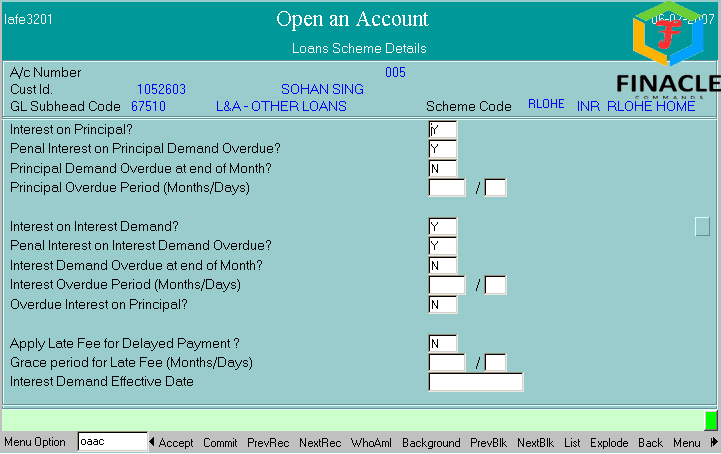 For every account opening of Loans the General, Scheme, Limit Details, Interest, MIS and Repayment Schedule Details are mandatory. operation, location code etc. Then Press F6 for next screen. 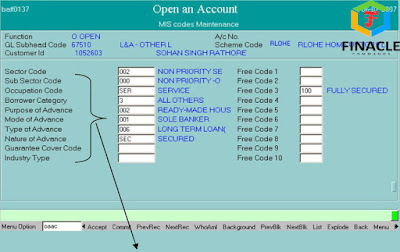 The above 2nd Screen of General Details will appear then enter the details like statement frequency, interest credit a/c flag etc. 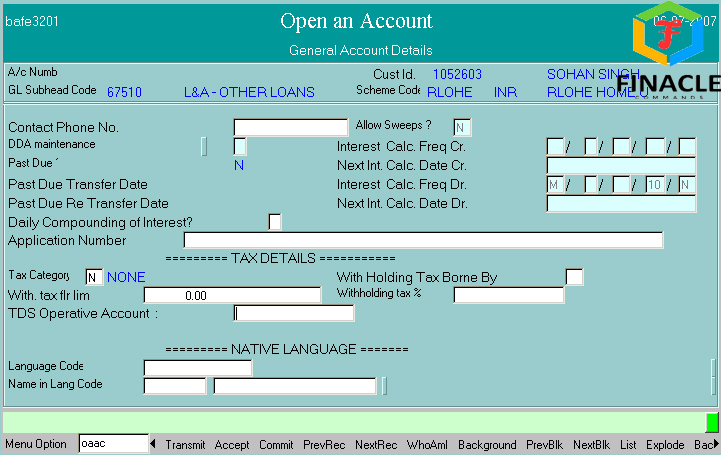 The most important field in this screen is Interest Rate Code. Please choose appropriate one. Press F6 for next screen. 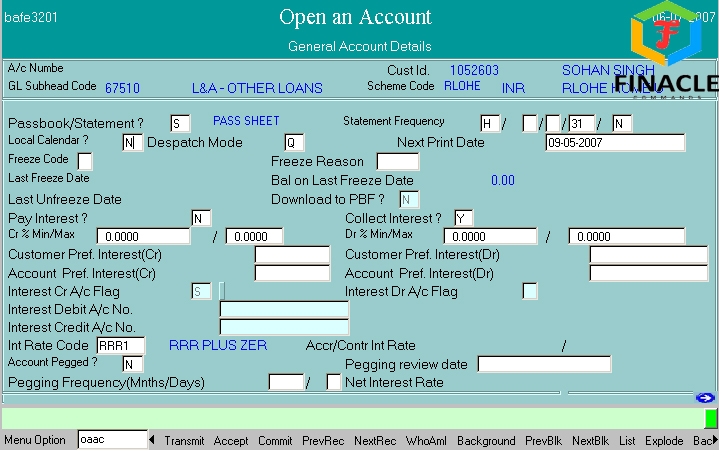 Interest Calculation Freq Dr: Please select the appropriate value. Next Int. Calc. Date Dr: Please select the appropriate value. Then Press F6 and will come on 1st screen. Now Press F4 for accepting General Details. Operative A/c No. 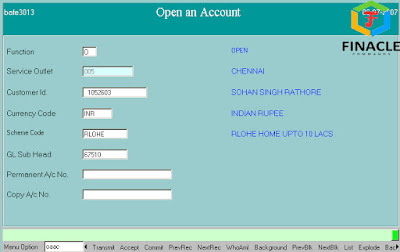 above value is ‘Y’, so put appropriate SB, CA Account No. 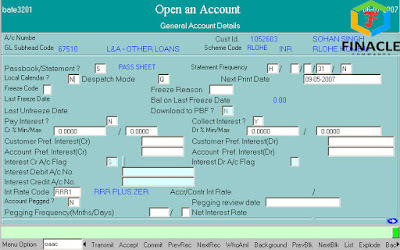 A/C Recalled: ‘N’ and then Press F4 for accepting DP details. 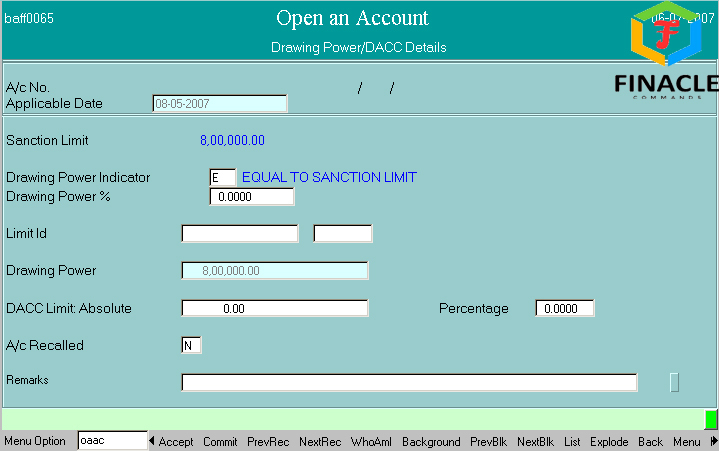 Accept above details with Pressing F4 after valid values being filled. 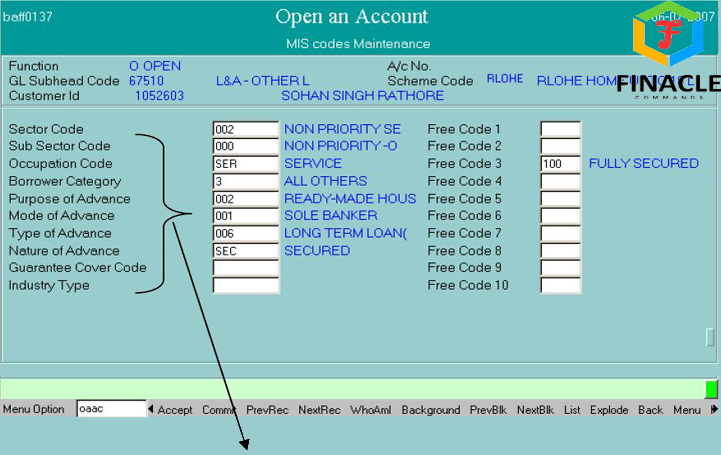 In above screen of MIS select appropriate codes. 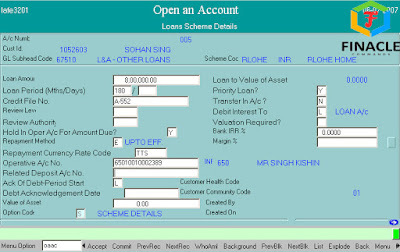 After completion of the same Press F4 for accepting MIS Details. Enter Principal Demand Date and then the Frequency. 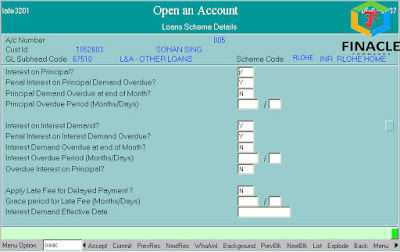 Then enter Interest Demand Date and frequency. 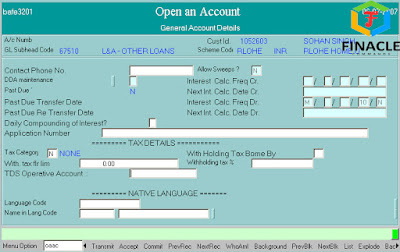 Press F4 for accepting Repayment Schedule Details. 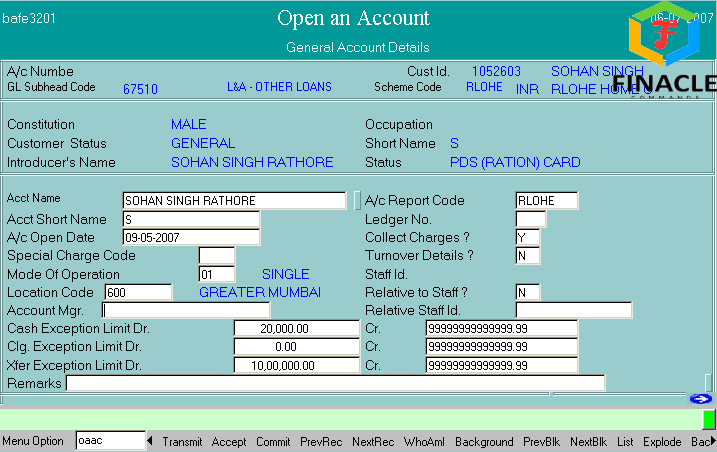 You can add Documents detail by entering 5 in option menu. 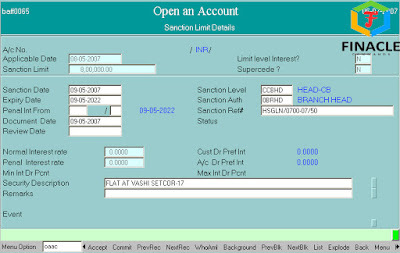 Enter the date on which documents are received and on which they expire. You can add DSA detail by entering 6 in option menu. Now Press F10 for commit. and note down the temporary account number for verification. NOW LET'S VERIFY THE LOAN ACCOUNT. 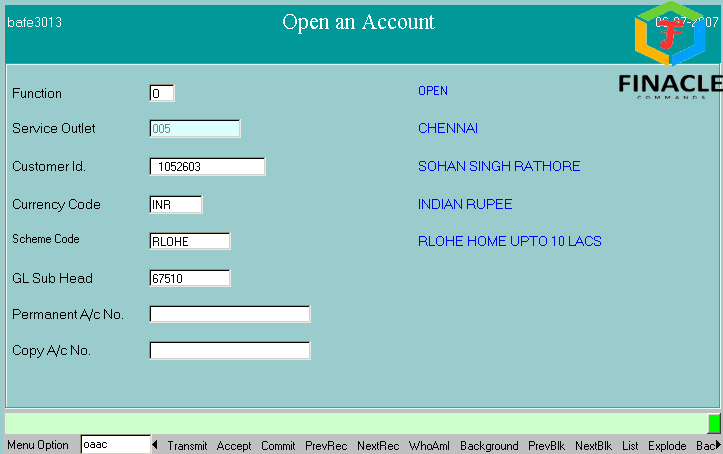 For visiting all screens of General Details Press F11 continuously. First, Sanction Details will appear. Verify and accept with Pressing F4. Then, DP Details will appear. Verify and accept with Pressing F4. 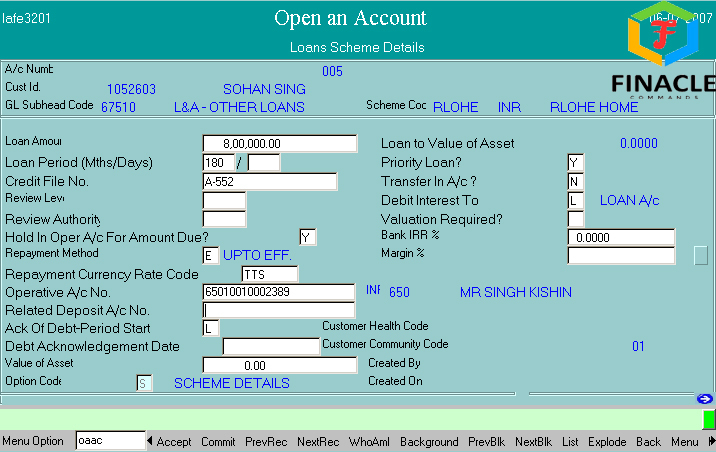 After appearing Interest Details verify and Press F4 for accepting the same. 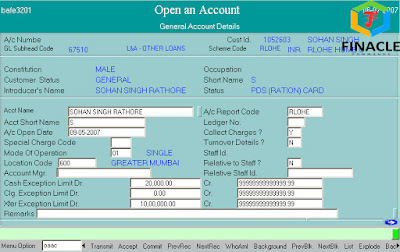 After appearing MIS Details verify and Press F4 for accepting the same. Press F10 to commit. 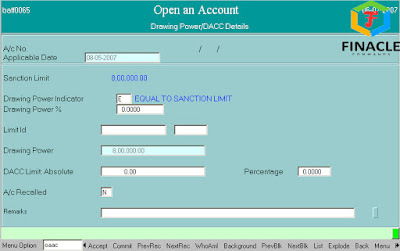 The account number will be displayed. The Loan Account stands verified. We as a whole dream,https://imsgcanada.com/fast-cash-loans-in-british-columbia.php yet there are rare sorts of people who set out to put the power apparatus of their life to influence their fantasies to work out as expected.